This article will aid you to remove Dcrtr virus (.crypt) efficiently. Follow the ransomware removal instructions provided at the end of the article. Crypt (Dcrtr variant) is a cryptovirus. The virus encrypts your files and demands money as a ransom to get your files restored. Files will receive the .crypt extension. The Crypt (Dcrtr variant) ransomware will leave a ransom note message inside a file called HOW TO DECRYPT FILES.txt. Keep on reading the article and see how you could try to potentially recover some of your locked files. 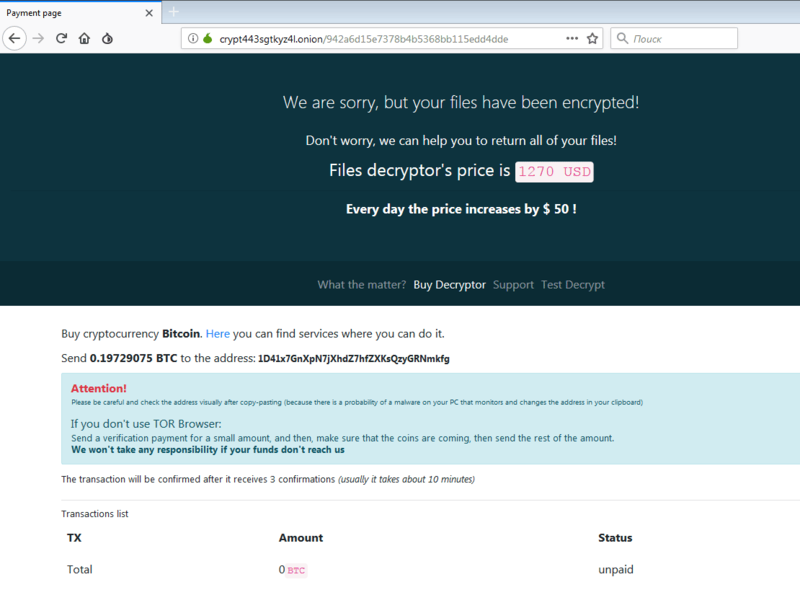 Short Description The ransomware encrypts files by placing the .crypt on your computer system and demands a ransom to be paid to allegedly recover them. User Experience Join Our Forum to Discuss Dcrtr virus (.crypt). As you can see, websites might generate advertisements which are malicious in nature and will eventually deliver the ransomware to your computer. Other websites could be compromised, and redirect you to specific domains once you are detected as a potential victim which will lead to a malicious URL that will download the payload from a server directly to your machine and quickly infect it. 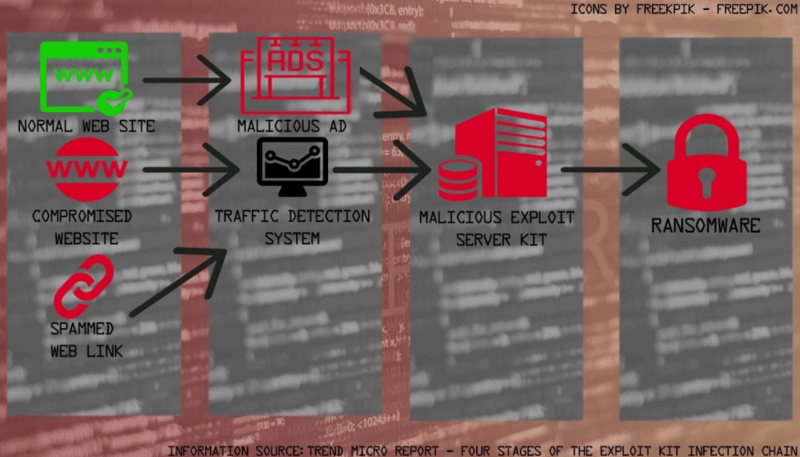 Other techniques might include malvertising campaigns sending fake invoices to email addresses of users, and the payload file being delivered with legitimate programs or executables. That is why you should refrain from opening files right after you have downloaded them. You should first scan them with a security tool, while also checking their size and signatures for anything that seems out of the ordinary. You should read the tips for preventing ransomware located at the corresponding forum thread. Crypt (Dcrtr variant) is a virus that encrypts your files and opens a ransom note, with instructions inside it, about the compromised computer machine. The extortionists want you to pay a ransom fee for the alleged restoration of your files. Crypt (Dcrtr variant) ransomware might make entries in the Windows Registry to achieve persistence, and could launch or repress processes in a Windows environment. Such entries are typically designed in a way to start the virus automatically with each boot of the Windows Operating System. —————————————————————————————- On our page you will see the payment instructions and will be able to decrypt 1 file for free with the extension “.exe”. – do not download third-party file descriptors, only we can decrypt files! 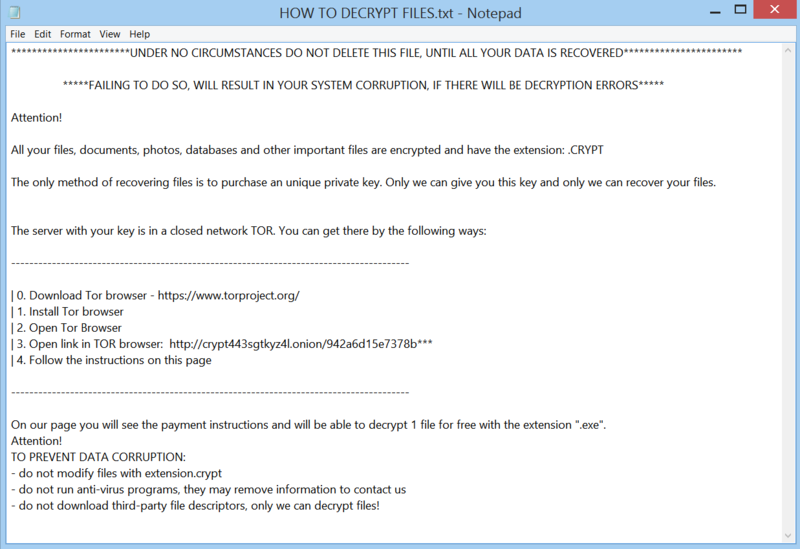 The note of the Crypt (Dcrtr variant) ransomware virus states that your files are encrypted. You are demanded to pay a ransom fee to allegedly restore your files. However, you should NOT under any circumstances pay any ransom sum. Your files may not get recovered, and nobody could give you a guarantee for that. Adding to that, giving money to cybercriminals will most likely motivate them to create more ransomware viruses or commit different criminal activities. That may even result to you getting your files encrypted all over again after payment. Every day the price increases by $ 50 ! Buy cryptocurrency Bitcoin. Here you can find services where you can do it. Your computer has been infected with Ransomware. Your files have been encrypted and you can’t decrypt it by yourself. You should buy Decryptor. This software will help you to decrypt all of your encrypted files and remove Ransomware from your PC. What is cryptocurrency and how can I purchase Decryptor? As payment, you have to buy Bitcoin using a credit card, and send coins to our address. If you have any problems with the purchase – please contact support. Dcrtr ransomware is copying the design and text of GandCrab, but a question arises – is it just a copycat or something more? The encryption process of the Crypt (Dcrtr variant) ransomware rather simple – every file that gets encrypted will become simply unusable. Files will get the .crypt extension after being locked. The newly added extension will be added as a secondary one, without changing the original, nor the file name. If your computer system got infected with the Crypt (Dcrtr variant) ransomware virus, you should have a bit of experience in removing malware. You should get rid of this ransomware as quickly as possible before it can have the chance to spread further and infect other computers. You should remove the ransomware and follow the step-by-step instructions guide provided below. Threats such as Dcrtr virus (.crypt) may be persistent. They tend to re-appear if not fully deleted. A malware removal tool like Combo Cleaner will help you to remove malicious programs, saving you the time and the struggle of tracking down numerous malicious files. Threats such as Dcrtr virus (.crypt) may be persistent on your system. They tend to re-appear if not fully deleted. A malware removal tool like SpyHunter will help you to remove malicious programs, saving you the time and the struggle of tracking down numerous malicious files. Note! Your computer system may be affected by Dcrtr virus (.crypt) and other threats. 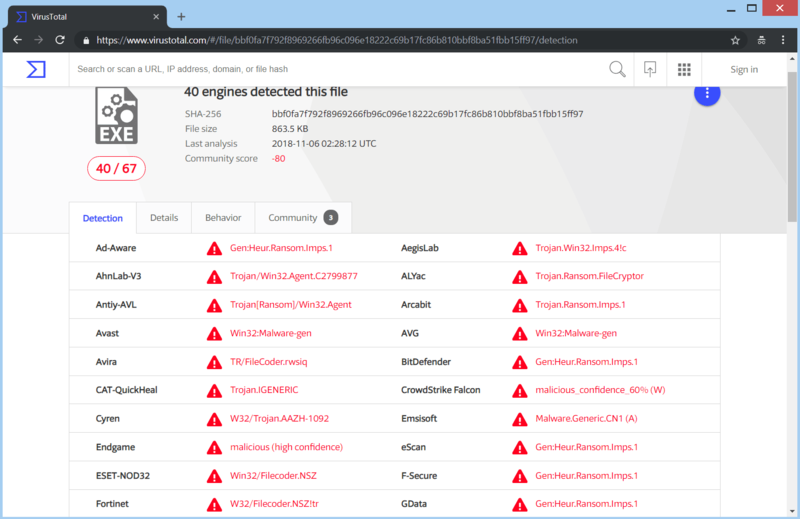 SpyHunter is a powerful malware removal tool designed to help users with in-depth system security analysis, detection and removal of threats such as Dcrtr virus (.crypt). 1. Install SpyHunter to scan for Dcrtr virus (.crypt) and remove them. 2. Scan with SpyHunter, Detect and Remove Dcrtr virus (.crypt). Ransomware infections and Dcrtr virus (.crypt) aim to encrypt your files using an encryption algorithm which may be very difficult to decrypt. This is why we have suggested several alternative methods that may help you go around direct decryption and try to restore your files. Bear in mind that these methods may not be 100% effective but may also help you a little or a lot in different situations. Note! Your computer system may be affected by Dcrtr virus (.crypt) or other threats. Remove Dcrtr virus (.crypt) by cleaning your Browser and Registry. 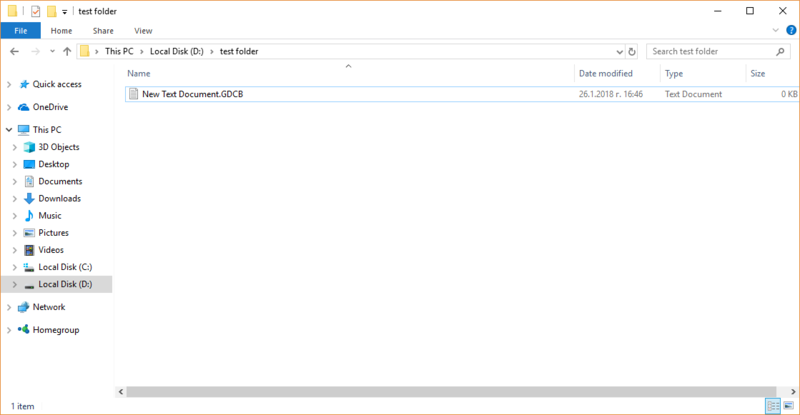 Fix registry entries created by Dcrtr virus (.crypt) on your PC. Combo Cleaner is a powerful malware removal tool designed to help users with in-depth system security analysis, detection and removal of threats such as Dcrtr virus (.crypt). Step 5: In the Applications menu, look for any suspicious app or an app with a name, similar or identical to Dcrtr virus (.crypt). If you find it, right-click on the app and select “Move to Trash”. Step 6: Select Accounts, after which click on the Login Items preference. Your Mac will then show you a list of items that start automatically when you log in. Look for any suspicious apps identical or similar to Dcrtr virus (.crypt). Check the app you want to stop from running automatically and then select on the Minus (“–“) icon to hide it. Remove Dcrtr virus (.crypt) – related extensions from your Mac’s browsers. A pop-up window will appear asking for confirmation to uninstall the extension. Select ‘Uninstall’ again, and the Dcrtr virus (.crypt) will be removed. When you are facing problems on your Mac as a result of unwanted scripts and programs such as Dcrtr virus (.crypt), the recommended way of eliminating the threat is by using an anti-malware program. Combo Cleaner offers advanced security features along with other modules that will improve your Mac’s security and protect it in the future. Hey !, I found this information for you: ".Crypt (Dcrtr variant) Virus – Remove It". Here is the website link: https://sensorstechforum.com/crypt-dcrtr-variant-virus-remove/. Thank you.